All That Matters is Asia' leading entertainment industry conference with five tracks from Music, Sports, Gaming, Digital and Marketing. With over 30 keynotes and 180 speakers across 3 days and 5 nights, ATM brought together over 1500 delegates and thousands of fans in 2017 alone. The conference is the gateway to Asia and continues to reflect the convergence of the entertainment industry. 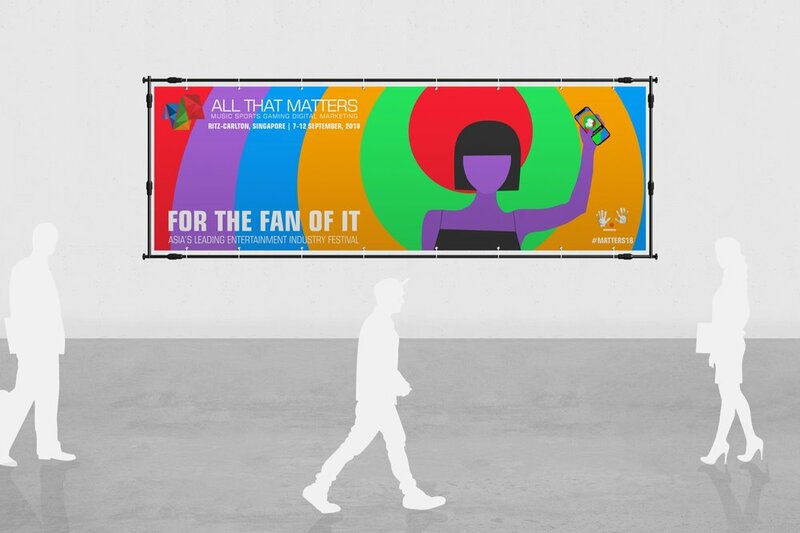 Using a bright colour palette to represent the five tracks, All That Matters 2018's theme was focused on the fans and consumers. 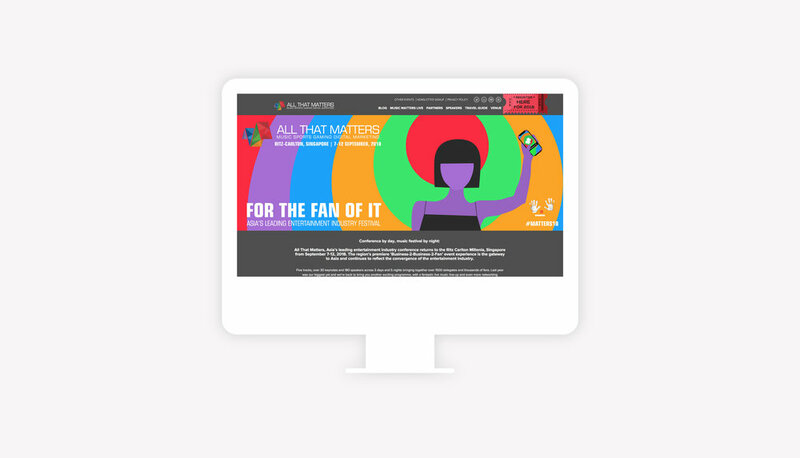 Using the theme, "For The Fan Of It" as inspiration, we illustrated a generic Asian character to bring emphasis to the Asian crowd and focus. To conceptualise All That Matters 2018 with its existing branding as Asia's leading entertainment industry conference. © 2019 Aquí Design. All Rights Reserved.